The whole world is mourning the departure of a truly amazing human being. A symbol of resistance, love and inspiration, Nelson Mandela was a man who gave himself totally to his people and his country, first as a rebel and political prisoner then as President and leader of all the people, regardless their colour and class. But even behind a public icon there are still facts yet little known. So we would like to share some aspects of Mandela's life you may not be aware of, in his loving memory. Mandela was born in 1918 in Mvezo, a village on the eastern cape of South Africa. His birth name was Rolihlahla, but was changed into Nelson by his school teachers, who couldn't pronounced Rolihlahla. By the way, colloquially Rolihlahla means troublemaker. After fleeing to Johannesburg to avoid a marriage arranged by the tribal regent, Mandela studied law at Fort Hare Missionary College. Within 12 months of studying there, he was expelled for organising a strike against the white colonial rule of the institution. 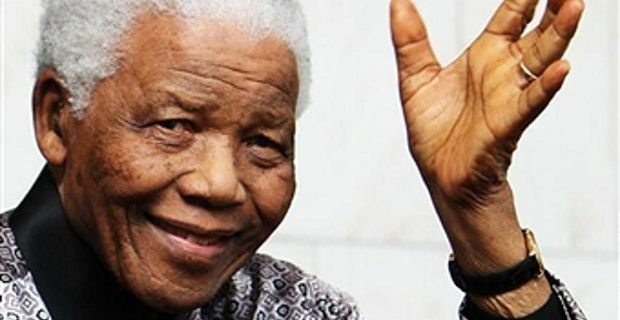 Soon he became involved in the anti-apartheid movement and joined the African National Congress, where he became a leader in resistance against the ruling National Party and its apartheid. The ANC was founded in 1912 as a means for moderate reform, but was taken over by young radicals such as Mandela in the 1950s. The new generation veered from nonviolence as a method for change and argued that guerrilla was the only way to fight the violent repression of the government. Mandela loved sports and particularly boxing, which he started practising as a child. Apparently he was an excellent boxer, and sports remained a part of his life even during his hardest time as a political prisoner at Robben Island. There, he contributed to create a very limited sports program in the isolation section. The apartheid government offered to release Mandela on no less than six occasions but he rejected them each time. On one such occasion Mandela released a statement saying: : "I cherish my own freedom dearly, but I care even more for your freedom ... What freedom am I being offered while the organisation of the people remains banned?"